Syllabus of the Online Course (Subject): Foreign Trade and Business in Miami, Florida (United States). 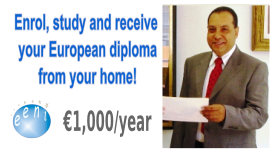 Description of the Online Course: Doing Business in Miami Florida. The Economic Growth of Florida is one of the success drivers for companies that choose to locate in Florida. Florida is consistently ranked as one of the top pro-business state. Florida has a favourable business environment, with a low corporate revenue tax rate and no state personal revenue tax. Florida offers competitive cost of doing business, especially when compared to other high-tech state. 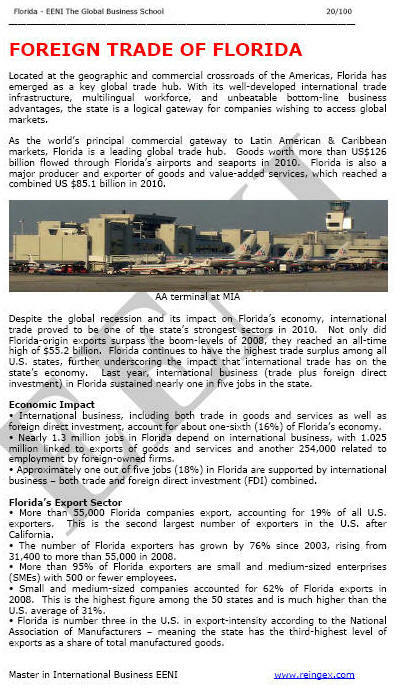 Florida has emerged as a hotspot for foreign direct investment (FDI). Another important sector is the creation of corporate headquarters in Florida. The Corporate headquarters is defined as those facilities that support international, local, or regional (multi-state) operations for moderately mature companies with distributed operations and centralised strategic and management activities. A corporation is a distinct legal entity formed for the express goal of conducting business activities while protecting its shareholders from personal liability. The LLC (Liability Limited Company) is a moderately new type of hybrid business structure that is now permissible in most states. LLC is intended to provide the limited liability protection of a corporation and functional flexibility and pass-through taxation advantage of a partnership.